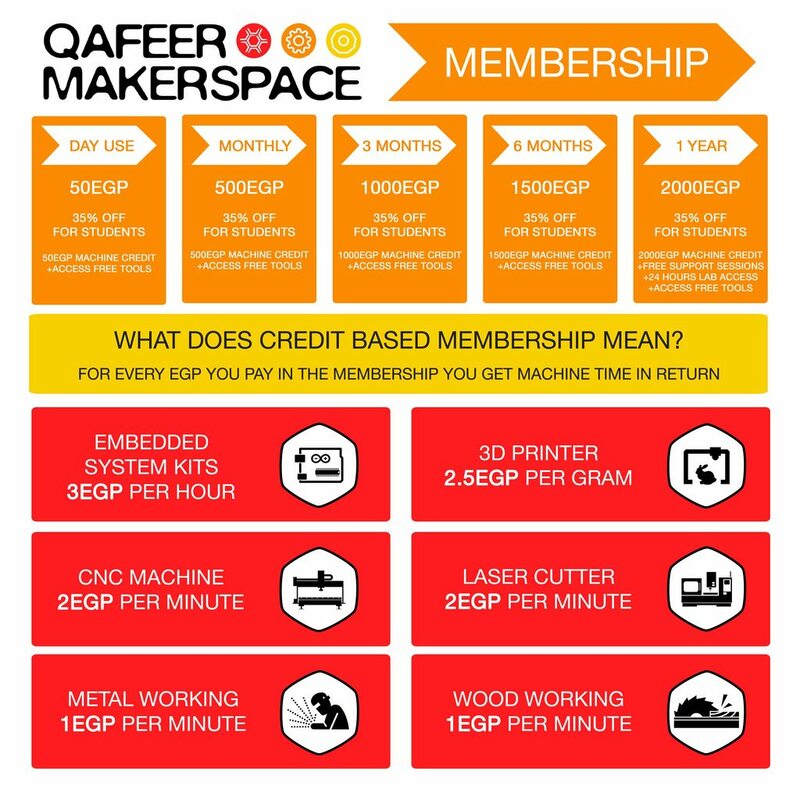 we want your help to create Qafeer Makerspace. it's an Open workshop with essential tools and Equipment ,that will help Hardware start-ups Create Prototypes for their products. What Machines do we want to Buy? 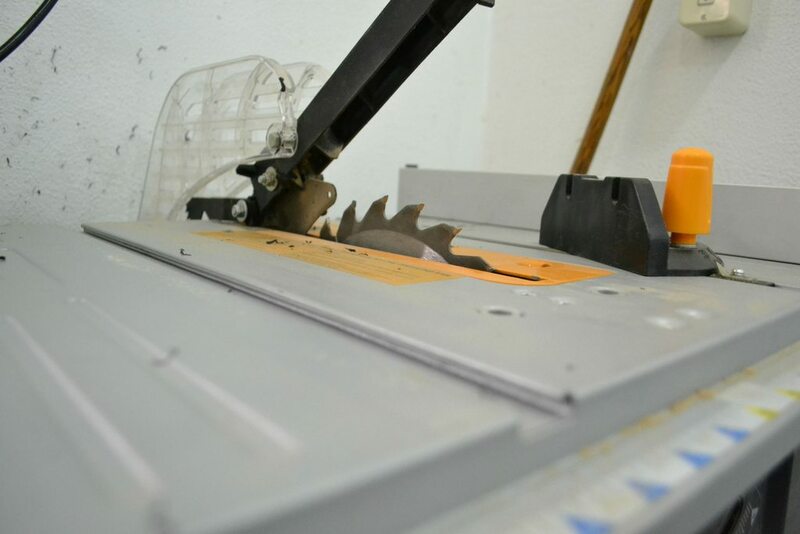 We will buy Laser Cutter,3D Printer,CNC Milling Machine,PCB machines, Embedded System Kits, Electronics,Fiber Glass Machine. we have extended Goals which means the more money we can collect the more equipment we can Buy. We want to Make this Makerspace accessible to everyone with ideas and also financially sustainable in the same time so we designed our membership and machines hour rates to be affordable as follows. if you are a business and you like to market your services or products and gain exposure or you wanna enhance your Corporate social responsibility we have flexible packages that suits your need which you can choose anything from the following that fits what you want to do. The Impact of this Makerspace is unbelievable because it will directly help create more start-ups hence creating more economic added value and solving a lot of problems. Right now we have an awesome Matched Fund opportunity for every dollar you pay Hivos will pay another Dollar to support Us. *Shipment of the gifts not included because we want to keep every penny of your contribution to the Makerspace. الهدف التالت بتاعنا اننا نجمع فلوس المكنة التالتة ناقصنا 1700$ دولار عشان نجيبها. اللى خلانا نجمع 7300$ فى يومين حيخلينا نجمع الباقى فى مدة قليلة. 1.فرج اصحابك فى الشغل اللى يقدروا يدعمونا ماديا على الفيديو. لازم نتعب اكتر ونكمل رحلتنا لسه فاضل 38 على نهاية الحملة عشان يكون عندنا ورشة كاملة فيها كل المعدات اللى تخلينا نعمل منتجاتنا بنفسنا و نقلل إستيرادها من بره البلد. الهدف الجاى بتاعنا اننا نجمع فلوس المكنة الرابعة ناقصنا 1980$ دولار عشان نجيبها. اللى خلانا نجمع 10,020$ فى اسبوع حيخلينا نجمع الباقى فى مدة قليلة. 3.ابعت صورتك وانت ماسك ورقة عليها #عايزين_ورشة. 4.لو تعرف حد صحفى او فى قناة فرجه على الفيديو بتاعنا و خليه يتواصل معانا. لازم نتعب اكتر ونكمل رحلتنا لسه فاضل 30 يوم على نهاية الحملة عشان يكون عندنا ورشة كاملة فيها كل المعدات اللى تخلينا نعمل منتجاتنا بنفسنا و نقلل إستيرادها من بره البلد. الحمد لله النهاردة كان اخر يوم فى حملتنا وعلى مدار الشهرين الجايين حننشر اخبارنا ليكم أول بأول. بعد ما توصلنا الفلوس حنبتدى نطلب المكن اللى احنا عاوزينه و حننشرلكم كل التفاصيل الخاصة بمواعيد استيلام المكن و اتمام تجهيز الورشة. وحننشر فى الايام الجاية تفاصيل الخطة بتاعتنا. النهاردة كان اول يوم فى الافتتاح التجريبى لقفير ميكرسبيس , الافتتاح التجريبى ده معناه اننا كملنا شراء المعدات ووضع نظام التشغيل و العضويات لكن فى فترة اختبار 3 شهور عشان نحسن و نطور عشان نحقق هدفنا. الافتتاح التجريبى معناه برضه اننا بدأنا فى عمليات صنع نماذج اولية للهدايا اللى وعدناكم بيها وحننشر كل فترة تقرير عن ايه اللى بيحصل فى قفير ميكرسبيس. الحمد لله بعد نجاحنا فى حملة التمويل الجماعى قدرنا نجهز ورشتنا الكاملة بكل اللى كنا محتاجينه فى المرحلة الاولى و اكتر ودلوقتى احنا فى مرحلة الافتتاح التجريبى اللى من خلالها بنختبر نظام التشغيل و التسعير للورشةواعداد الهدايا للداعمين لينا فى حملة التمويل الجماعى. دلوقتى ورشة قفير بتخطط لمرحلة الجاية وهى اننا ننقل لمكان اوسع عشان يستوعب لمشاريع اكتر و نقدر نجيب مكن اكتر عشان يخلى اى حد عنده افكار فى اى مجال يقدر ينفذها. وزى ما وعدناكم قفير ميكرسبيس حتبقى معتمده على نفسها ماليا عشان تقدر تنفذ خطة التوسع من خلال العضويات الشهرية المبتكرة اللى بتخليك تستفيد باى فلوس تدفعها على هيئة رصيد مشحون تقدر تستخدمه وقت ما انت عاوز لاى مكنة او معدة انت عاوز تستخدمها بالاضافة انها بتخليك تستخدم الادوات اليدوية مجانيا عشان تعمل مشروعك. بالاضافة ان فى خصم 35% للطلبة بيخليك تحصل على رصيد اكبر من اللى انت دفعته يعنى لو دفعت 325جنيه حتاخد رصيد 500جنيه دقايق تشغيل للمكن. احنا واثقين ان الناس عارفة قد ايه هى بتساهم فى الحاجة الكبيرة اللى حتحقق حلمنا كلنا فى ان عدد المنتجات المصرية تزيد. بالنسبة لكل الداعمين تقدروا تيجو دلوقتى الورشة وتحصلوا على العضويات اللى وعدناكم بيها و نقدر كمان نساعدكم فى اى مشروعات انتم عاوزين تنفذوها . We would like to thank you for your support in Qafeer Makerspace Crowdfunding campaign here is kindly an update for the project milestones. We've successfully purchased all the equipment , finished the staff training, begun testing the space facilities and services in beta projects. Social Innovation Project That we’ve manufactured”i7san Machine”. This Machine is used to collect in kind donation like Clothes,shoes,books it encourage the public to donate because once they do an automatic electronic system capture your photo and share it on the web to encourage your friends to do the same, it also send a message to the NGO responsible for collecting the donation once the machine is full to empty it. Currently we are trying to Raise fund from Grants,business plan competition to move into a bigger space and to prepare for the opening and the gift distribution for our Crowdfunders and to support all the activities and the services that we are planning to launch. Leasing a factory for one year. 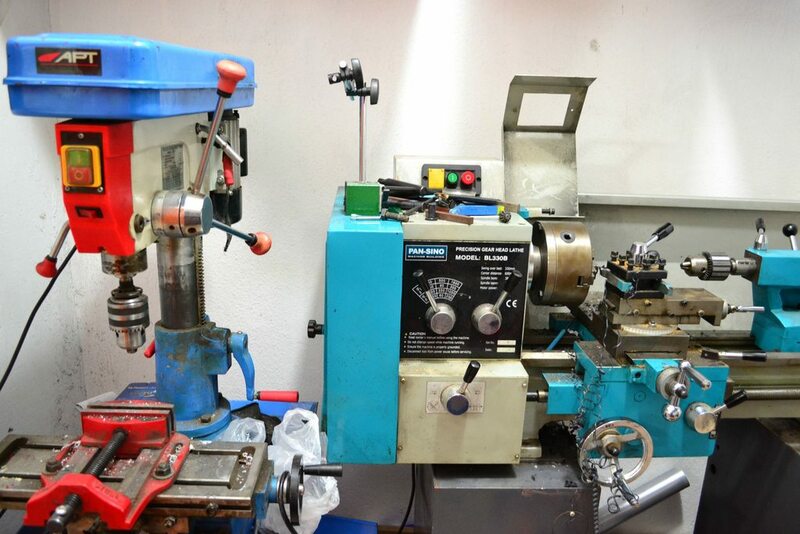 Finish Renovation and Moving to the Factory and Opening Delivering Crowdfunders gifts and sponsors packages. Getting The Machines we ordered. 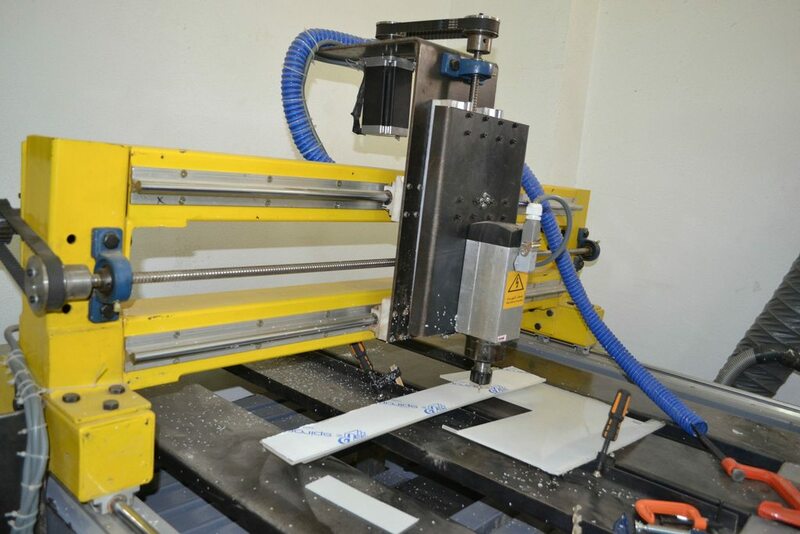 Qafeer Makerspace will be the heart of the economic Development in our city where we connect all the stakeholders, innovate new ideas to solve our society problems, we will have the infrastructure and the facilities to manufacture anything. 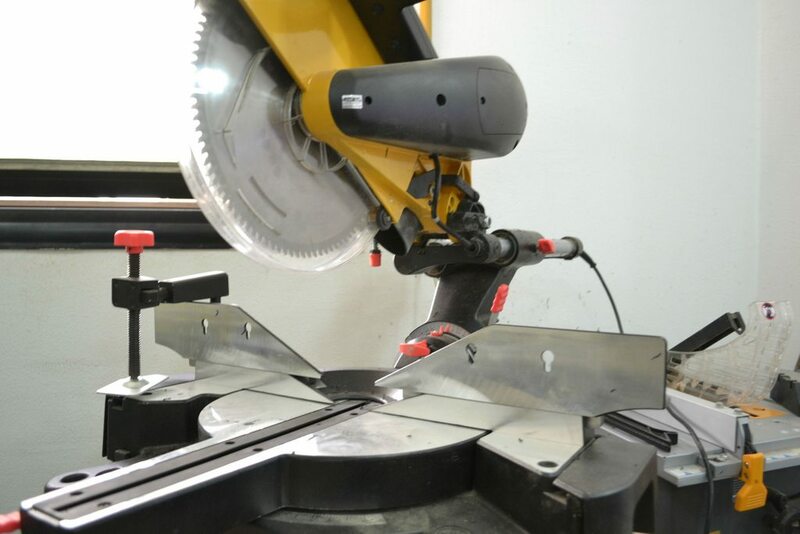 We will be the innovator's first choice to prototype their product we hope to be the first Techshop lookalike in Egypt. We believe that we have the right vision to turn a city in a developed country into a city with huge economic growth through Entrepreneurship and the Maker movement, we hope to provide a successful case study for all other cities in the developed countries. Once we reach stable situation we will begin to help other communities to build their Makerspaces we will provide them with cheap machines locally manufactured at our Makerspace. 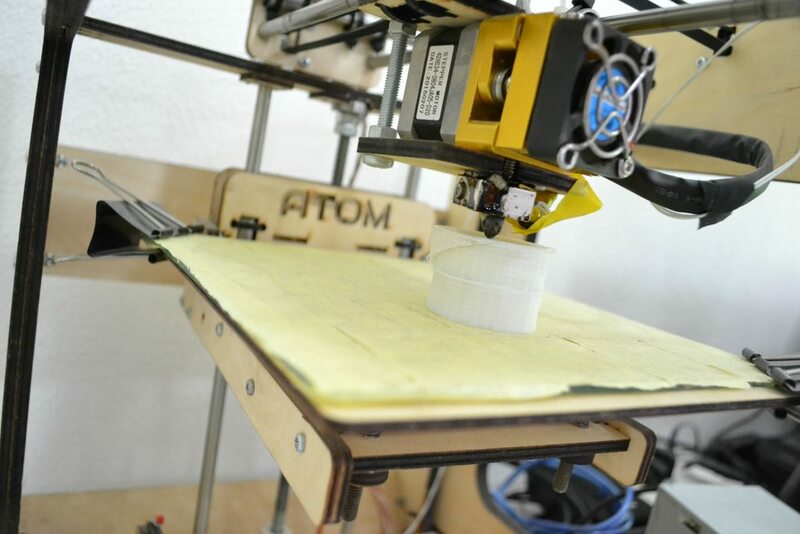 Qafeer Makerspace is a physical and online Prototyping Manufacturing platform. Because you love the people of this Country and you want them to develop their Economy and foster their innovation and you knew that Makerspaces will help people create more Products. We will send you a Makers T-shirt as a Gift to let the World Know that you support Makers in our Country. Also you will get the Hall of fame Package and one month free Membership to the Makerspace. 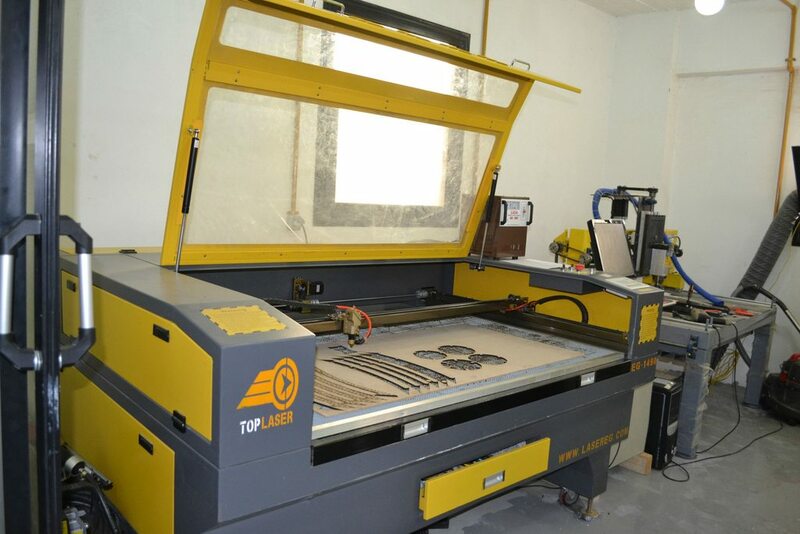 you like Making and inventing New stuff that's why you will choose this package To try using the 3D printer and The Laser Cutter for free to create your own models using the machine yourself or you could send us the designs and we will make it and ship it to you, also you will get 2 Months membership to Qafeer Makerspace to do stuff you want. by choosing this package you will be one of Qafeer Makerspace Cofounder that means you can attend the management meetings , get business card with your position on it as a co-founder , get two years of free membership also you will get a Remote Operated Vehicle that you can control with your smartphone.